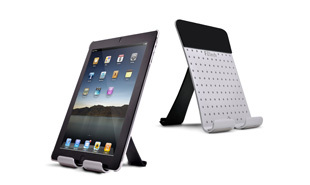 4 July 2013, Taipei, Taiwan — FZtech is pleased to announce the latest collection of the Eiffel Series –Universal Folding Stand for Tablets, coded FZT-S2. The high quality stand is portable and lightweight and supports all tablet and smartphone sizes. FZT-S2 is made of high quality aluminum with anodized finish and uses air-craft grade rubber ends to cradle the tablets steadily and snugly. It has a 90-degree adjustable hinge to supports viewing angle of 45-degree in addition to portrait and landscape positions. FZT-S2 is designed for users who spend long period of time on the desk and need to view their tablets comfortably. It provides a wide range of applications, including immediate calls, on-line meeting, scheduling, Bluetooth keyboard, media sharing and recipe reading in a hands-free way. Moreover, FZT-S2 tablet stand provides two-way viewing, allowing smaller size tablets and smartphones to be placed on the other side of the folding stand. Weighting only 162 g, FZT-S2 is lightweight and takes up a minimum of storage space as it can be folded flat into a piece of slim item. It is perfect for users who frequently need to carry it around for presentations to their customers. The lightweight aluminum body makes the FZT-S2 portable and easy to carry. With sleek metal surface, the design of FZT-S2 is stylish and elegant, thus meets the expectation of tablet users, especially designers and working professionals. The superior features of the Eiffel Series makes it the perfect companion for tablets weather they are used for work or at home providing ease of viewing, typing and displaying. 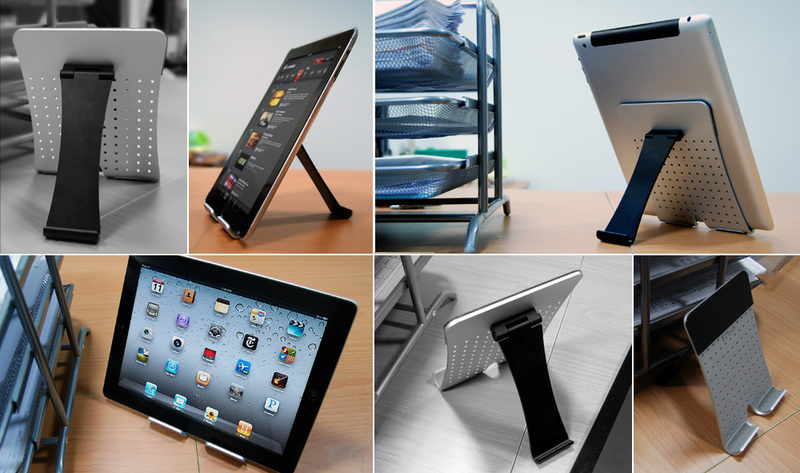 The Eiffel Series universal tablet stand FZT-S2 will soon be available in Taiwan, Singapore and Thailand. FZtech welcomes global distributors, retailers and wholesalers to bring the products worldwide. For more information please visit FZtech online.